In Beauty & Style, Look & Feel Your Best, Stitch Fix. 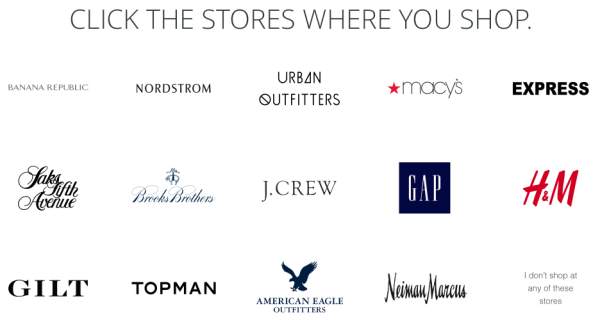 As someone who doesn’t like to shop, I’ve enjoyed having Stitch Fix do my shopping for me. 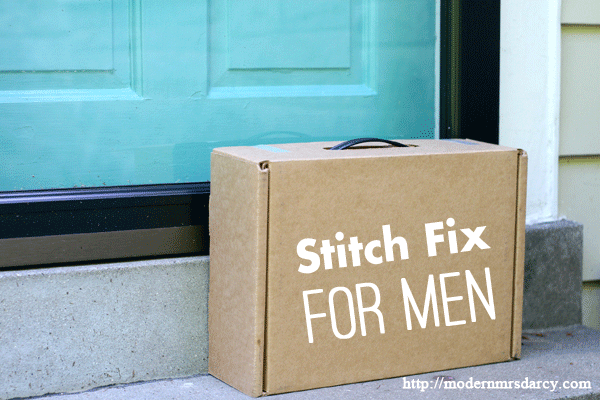 My husband doesn’t like to shop either, and we’ve joked that he needs Stitch Fix for men. Well, it turns out there is such a thing. I found out about Trunk Club from a reader’s comment on this post. My husband is a good candidate for the service. He started a new job last fall in tech, where the tricky territory of business casual reigns. Pulling it off means well-made and well-chosen clothes, not off-the-rack Old Navy. My husband hates to shop. It might be because he’s very particular about what he likes, and what he likes is hard to find. He’s a little bit tricky to fit. And he hates making snap decisions in dressing rooms. Services like Trunk Club (and Stitch Fix) remove some of the resistance: their stylists choose clothes that suit your size and style, and ship them to your door so you can try them at home. You keep what you love and send the rest right back, at no extra cost. We were a little intimidated by the prices on the Trunk Club site, but decided to give it a go anyway (especially because it costs nothing to try: free shipping both ways and no styling fee). Finding good work clothes so far has taken way too much time, and he was happy to pay someone else to do the work for him. He provided his measurements, and was told to expect a phone call from his stylist. The next day, he spent half an hour chatting with Lauren about style preferences, budget, what to expect, and how the service worked. 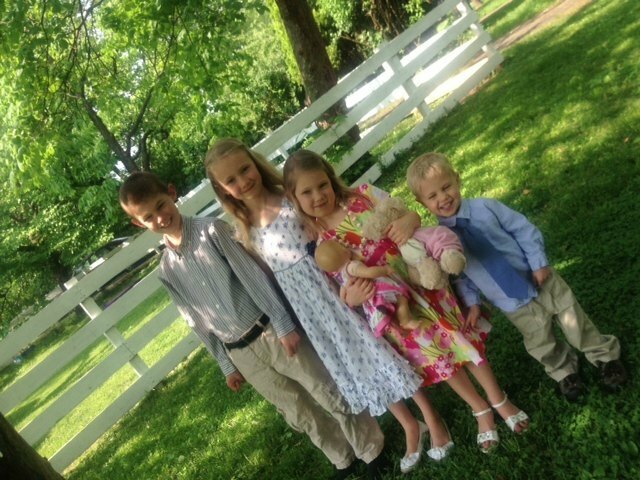 My husband said he needed good looking button downs, chinos, and a sportcoat. This Scott James button down definitely ranks up a notch or three from shirts we’ve tried from Banana Republic, Lands’ End and the like. The tailoring is gorgeous, and I wish the picture showed the texture of the fabric: it’s faintly seersucker-like, and looks really classy. This is the perfect Oxford shirt and definitely nicer than what my husband has now. He loved the subtle sheen, the fabric’s feel, and the button placement (something he’s really picky about). Sadly, the sleeves were too long. Will’s going to ask his stylist if a different size might work, because this shirt was terrific. 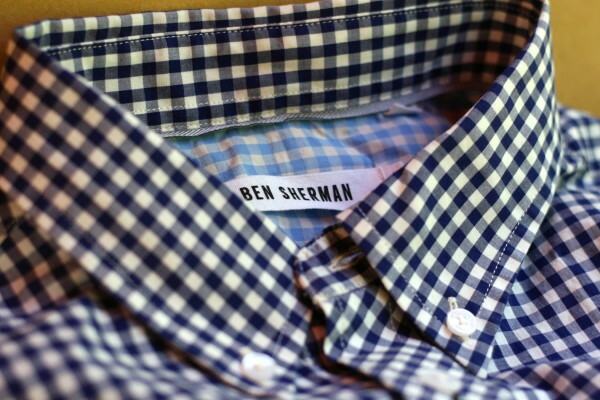 This Ben Sherman buttondown looked classic and crisp, nailed the button placement, and fit perfectly. It’s similar to one my husband finally retired after 5 years of wear, and we can do the math: $85 over another 5 years is worth it. These shirts are more expensive than my husband’s current ones. They’re also a lot nicer, and he didn’t have to shop for them. With that in mind, Will decided to keep the Ben Sherman. He returned the Scott James, because $165 was hard to justify. If he was just starting his job and was desperate for great clothes fast, he might have kept it. 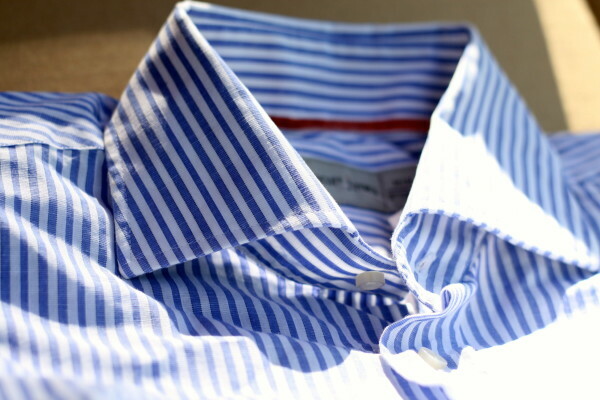 He would have kept the Thomas Mason Oxford if it had fit, even though $135 is a little steep. We believe in spending to your weakness, and are willing to pay more for shirts because it’s so hard to find ones he likes. Trunk Club is known for investment clothing. The pieces they sent will last for years: they’re very well made and aren’t going out of style anytime soon. (Oh, to be a man!) The cost-per-wear on these shirts will be tiny in the long run, which is why shirts that cost upwards of $100 are still worth it in my eyes (and that’s before you factor in the time savings). If you’re interested in trying Trunk Club, find out more and sign up here. Just curious: how do the men in your life handle their shopping? Love it, hate it, dodge it, relish it? P.S. 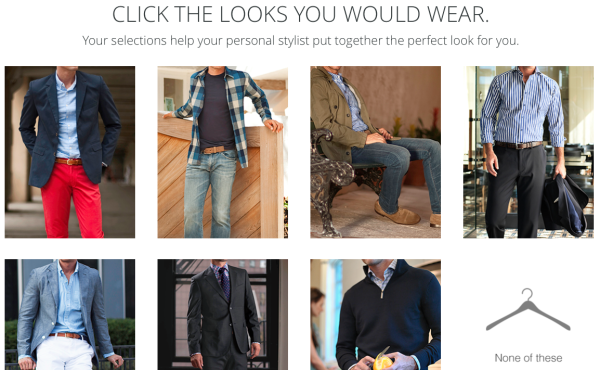 If you’re interested in Trunk Club, but not the prices: check out Men’s Style Lab. 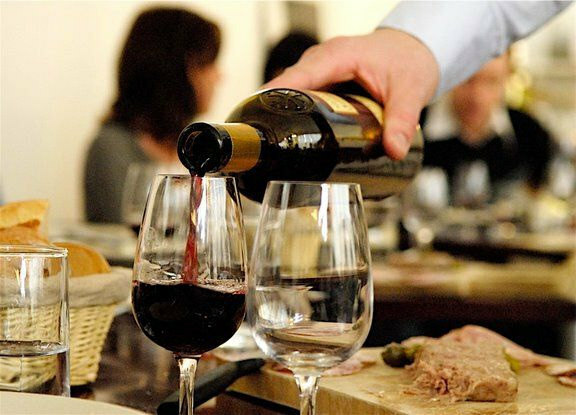 It provides the same personal service at a significantly lower price point. Note: This post is not sponsored. It does contain my affiliate links. Thanks for supporting Modern Mrs Darcy! So fascinating. It makes me wish there was a man in my life to shop for! I’m a firm believer in paying more for quality clothing. In fact, that’s why I changed my preferences on Stitch Fix because while some of the lower budgeted items were cute, they often had loose threads and were made of cheaper material. That said, Stitch Fix could stand to learn from Trunk Club in terms of well made clothing. Leigh – you might like CakeStyle, which is more of a true Trunk Club for women. The items are more pricey, but the outfits and items I’ve kept from my CakeStyle boxes in the past are true investment pieces that I know I’ll be wearing for more than a few seasons. When I first got excited about Stitch Fix, my husband was very curious about Stitch Fix for men. He found Trunk Club, too! We were a little alarmed by the prices and haven’t tried the service yet. However, you point out something smart about the price per wear on something classic that can be worn until it’s plain worn out. I need to consider that more. (And getting to avoid the mall seems awfully priceless sometimes!! 🙂 ) Any comments about dry clean only items or what size they go up to? Thanks for the review, Anne. Will send to my husband! I completely agree about avoiding the mall! Anne, I would expect the laundering process for these clothes to be typical of menswear in general, which is shirts are machine washable, some pants will be, and suits will require dry cleaning. (My husband’s shirts are all machine washable.) I’m sure you could ask in advance and request only items that fall into your desired care category. What a fantastic idea and sounds like great service!! My husband actually really enjoys shopping and it’s always been fun to go out together when he’s needed new clothes for work. That being said, I know he would love the classic feel of Trunk Club. 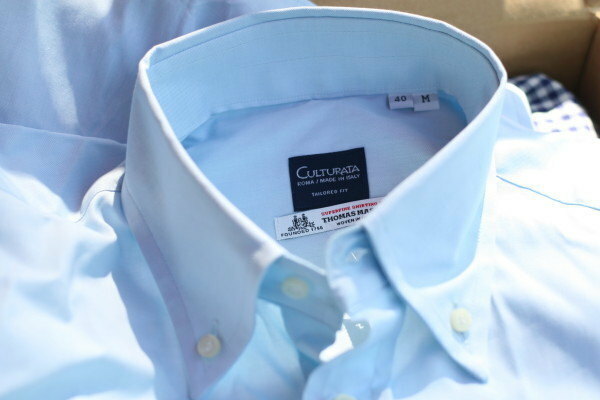 It hearkens to an earlier time with service and well-fitted clothes that last a long time. Paying more for quality can be a lot cheaper in the long run. I spend hundreds of dollars on a pair of dress shoes. The last time I bought dress shoes, though, was about 12 years ago. Like you and Will, I can do the math; amortized over the life of the shoe this is a lot less expensive that buying cheaper shoes that wear out in a year. I have to replace soles and heels occasionally, but it’s still a lot less expensive overall. Anne, thanks for sharing your experience with Trunk Club. I checked out the site recently, but the prices intimidated me from trying it. I will definitely consider it the next time Mike is looking for some long term clothing investments! ANNE! You have described my husband to a “T.” Old Navy is about the only place I can drag him into. Though he works from home, there has been discussion about that changing in the future and THIS would be amazing. I’m checking out your post on Stitch Fix! I have never heard of it, but with a two-year-old and a nursing four-month-old I have become a huge fan of online shopping. Shopping for clothes has been a real challenge. Thanks again for more quality information! What a great service! My husband does not like to shop, and when he does he often buys cheap clothes. While there has been the rare occasion where one of his cheap purchases lasts, more often than not they’re discarded for poor quality or poor fit relatively quickly. For Christmas last year I splurged and bought him a dress shirt from Brooks Brothers. He couldn’t believe the difference in quality. He has since purchased another Brooks Brothers dress shirt. He is slowly converting to higher end, more expensive, but better made clothing. It can be hard to swallow the initial investment amount, but when you’re still wearing the same dress pants 6 years later, it doesn’t seem so bad. Thanks for the review. I grew up a beach boy, but now that I am a professional and 32, I am ready to venture into “adulthood”. By that I mean no more sandals and t shirts when I go out. It is time to dress my age. 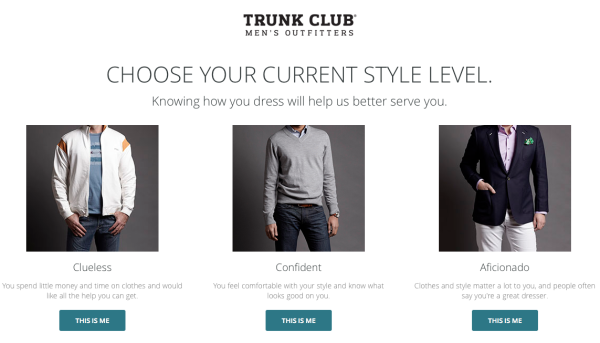 Really excited to try The Trunk Club……..eventually. Im an air traffic controller working for the FAA in San Juan Puerto Rico, which means I wont be returing home for another couple of years. Being that it is always hot down here I will be looking forward to trying it out………in a couple years when I can finally experience cool weather again. once a leisure account it. Look complicated to far introduced agreeable from you! Thanks for the advice, my girlfriend had just started to get Stitch Fix and I was curious if there was a similar option for men and when I googled it you were the first site that came up. If I give it a try I’ll go through your site!